Our commercial services include Virginia Graeme Baker Compliance, ADA Compliance, on-site equipment repair, equipment sales, pool painting, openings and closings and weekly service on pools and hot tubs. We service commercial properties in both Indiana and Kentucky. Remove and clean cover; remove, drain and clean water bags; remove water plugs; hook up equipment and check for proper operation; chemically treat water; reinstall all ladders and handrails, etc. Green or dirty pools will require an extra charge for cleaning. If there is a large amount of debris on the top of the cover there will be an extra charge to remove it. Pool opening costs do not include vacuuming. 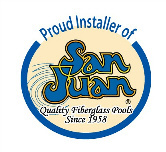 If you would like your pool vacuumed, please request this service when you schedule your opening date. Chemically treat water; prepare and antifreeze lines; install plugs in the lines; remove plugs from equipment to drain; remove ladders and handrails; clean and store removed equipment; install cover. Green or dirty pools will require an extra charge for the time spent cleaning it. Pool closing costs do not include vacuuming. If you would like your pool vacuumed, please request this service when you schedule your opening date. Install plugs, clean and fill hot tub. Remove plugs and blow lines. Please call us or send us an email for an estimate of the service(s) you request.